On January 15th, the Centre welcomed Gabriel Cooney, Professor of Celtic Archaeology at University College Dublin and expert in Neolithic Britain and Ireland with a focus on islands and seascapes. Professor Cooney presented on the history of settlement on Lambay. Lambay is one of the small group of islands off the Dublin coast. He set out to explore its rich prehistory and discuss early medieval, medieval and modern activity. Initially attracted by the discovery of a Neolithic axe quarry, Professor Cooney has undertaken extensive archaeological research since the early 1990s, particularly on the Neolithic period and stone axe production. Prehistoric archaeology on the island was discovered during landscape re-modelling of the harbour in the 1920s, commissioned by the Baring family. This included Iron Age burials and Neolithic settlement evidence, including porphyritic andesite, or porphyry, stone axes. As part of the Irish Stone Axe Project, which created a national database for Neolithic stone axes and their sources, Professor Cooney investigated Lambay as a potential key source for these axes, found also on the mainland of Ireland. A Neolithic quarry site was recognised at the Eagle’s Nest and this was the focus of excavation. Finished polished axes, axe roughouts, production tools and porphyry debitage were all recovered, indicating that axe manufacture was undertaken on site. This is a rare example in the Northern European Neolithic context – as the final stages of axe production usually take place away from the quarry sites. The quarry is radiocarbon dated between 3800-3000 BC, corresponding to the early and middle Neolithic, which suggests an interest in this material from the beginning of the Neolithic. Interestingly, the Eagle’s Nest quarry is characteristic of more ceremonial sites with evidence of deliberate knapping of quartz against the quarry face and deliberate placement of material in pits capped with stone. Considering the wider context of Lambay, Professor Cooney noted that cultural change is seen in the transition from early to middle Neolithic, characterised by intensified evidence for settlement activity and artefact imports, alongside continued production of stone axes. He considered regional parallels for this change in the context of the passage tombs of Knowth and Newgrange and argued for a potential connection through shared depositional patterns, objects and materials, including maceheads, jasper pendants and porphyry axes. Futhermore, he suggested that a connection to the wider passage tomb world is also played out in visibility of monuments and landscape features from Lambay. Professor Cooney then shifted the view to the island context. Despite rather dangerous water-crossing conditions, the island has favourable economic conditions and is accessible from the mainland. For this reason and others, people have been attracted to the island since the early Mesolithic. 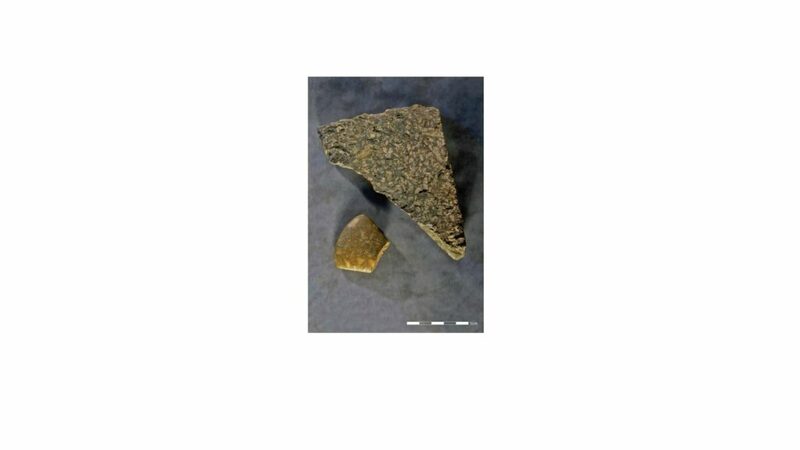 Prehistoric material culture found on Lambay indicate local production of pottery. A stone pebble survey confirmed local availability of flint corresponding to the significant evidence of flint debitage across the island, imported piece of Arran pitchstone, and diagnostic artefacts such as different forms of arrowheads and convex scrapers. Other landmarks of potential prehistoric date include several cairns, mounds and boulder burials, all yet to be investigated. Geophysical survey has also picked up possible later prehistoric barrows. During construction of the inner harbour wall in the 1920s, burials with Romano-British style objects from c. 1st century AD were found. Professor Cooney argued that this is a potential connection with the promontory fort at Drumanagh on the mainland which produced material of similar date. There are two promontory on Lambay itself and a number of other sites, such as the fortified islet of Sunk island, which may be related. 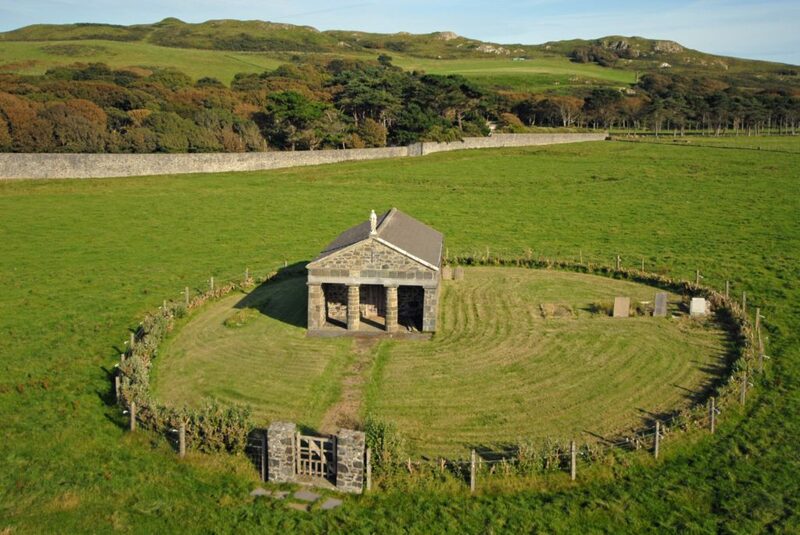 One major question is the use of Lambay in the early medieval period. Geophysical survey undertaken in early 2000s was focused around the 19th century chapel, said to have been placed on a medieval church. Geophysical survey suggests that it may actually be within an early medieval Columban monastery, said to have been founded on Lambay. This is relevant to the question of the island called Reachrú (the Irish name for both Lambay and Rathlin) which the Vikings are recorded as attacking in 795. There are written records of the attack on the nearby Inis Patrick island at 798 AD which would indicate that Vikings were in the immediate vicinity of Lambay. Towards the end of the talk, Professor Cooney briefly mentioned several key events in Lambay’s history in the modern period. Due to its strategic position and economic potential, Lambay became a key place for control of sea routes and access to Dublin in the medieval and early modern period, moving between state and private ownership. The island was also targeted for mineral extraction in the 16th century when John Challoner began exploratory mining of copper and silver. Coastal erosion has exposed what appear to be late medieval burials. 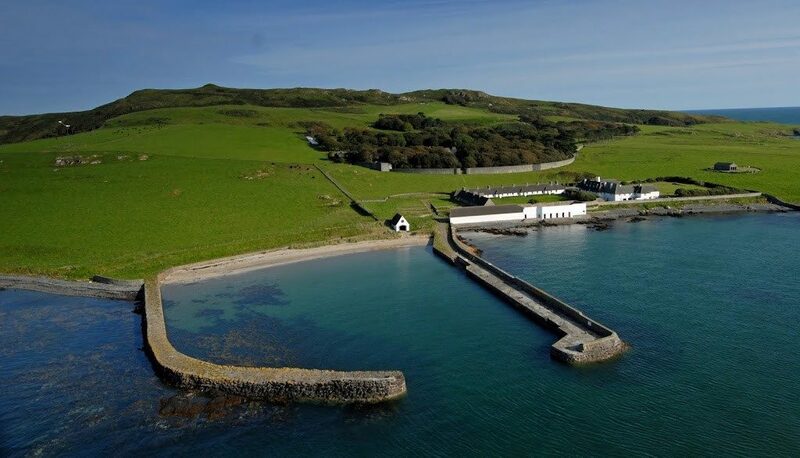 In the late 17th century, Lambay was known to have been a Jacobite war prisoner camp. Most dramatic landscape transformations began in the 19th century with the major landowner Talbot de Malahide establishing a small permanent tenant farmer population on the island and later a deer park. Geophysical survey results suggest the presence of a mass grave marker in chapel cemetery that might be related to the Tayleur shipwreck at Tayleur Bay in 1854. The landscape of Lambay continues to develop to this day where the current focus is on organic farming and attracting visitors. Overall, it was a pleasure to hear Professor Cooney share his fascination of Lambay, developed over years of dedicated archaeological investigation into a complex and dynamic small island biography.